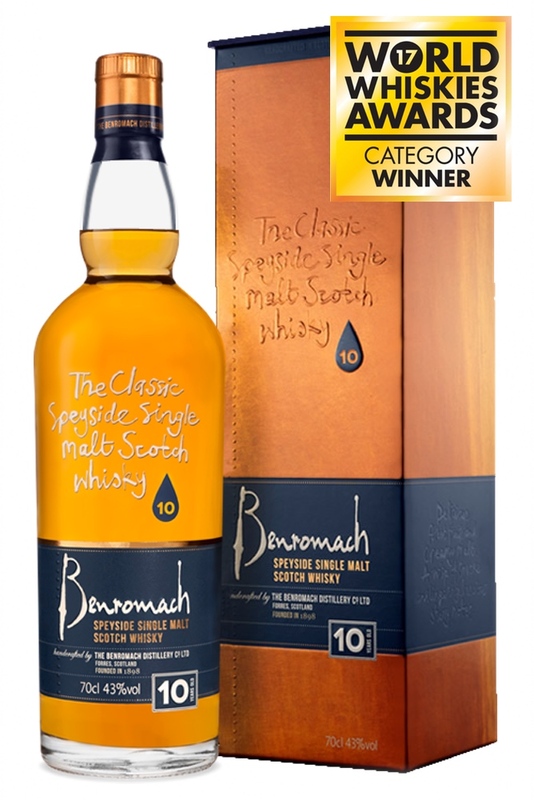 MATURATION: 80% ex-Bourbon, 20% ex-Sherry for 9 years—married back together in an Oloroso Sherry cask for the final, tenth year. 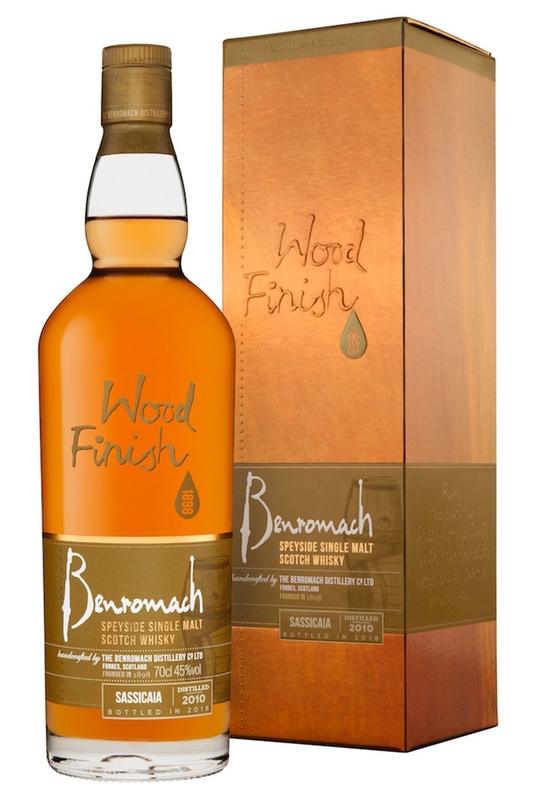 Pour yourself a dram of Benromach, not too wee and not too big. Swirl the golden liquid around your glass and notice the AROMA WITHOUT WATER, in other words, take a sniff. 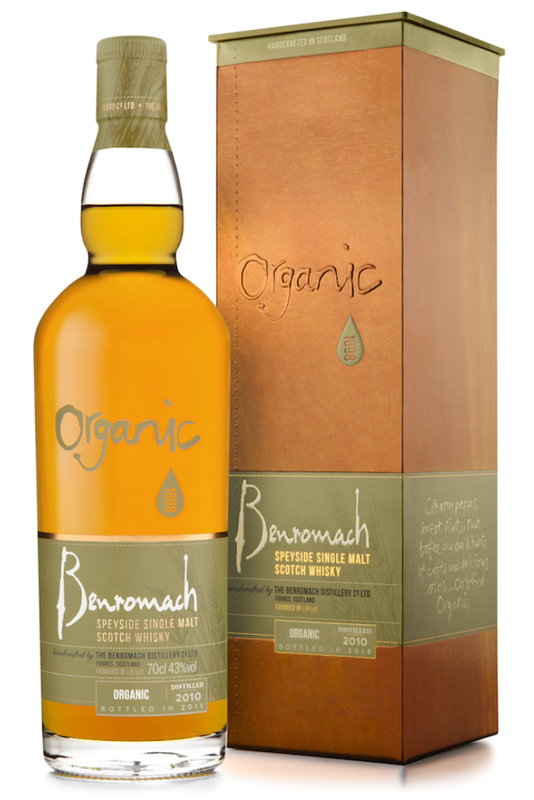 Indeed, indulging in several little inhalations is the best way to pick up all the different notes, rich sherry with fruit & nut chocolate, delicate spice, green apples, malty biscuit and a touch of light peat smoke. 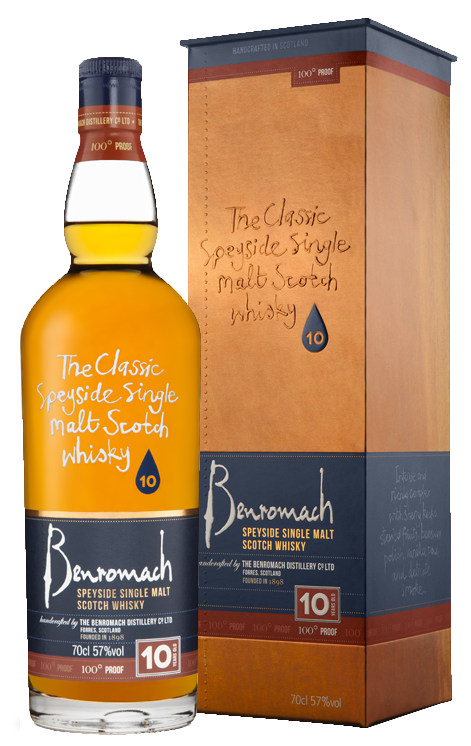 Now sip your dram, roll the whisky around your mouth and enjoy the TASTE WITHOUT WATER, juicy raspberries and brambles, sherry, creamy malt and a light peat. Next, take in the AROMA WITH WATER, It's a wee bit nutty with a touch of charred oak and malt, and there's also some fancy pineapple and kiwi. 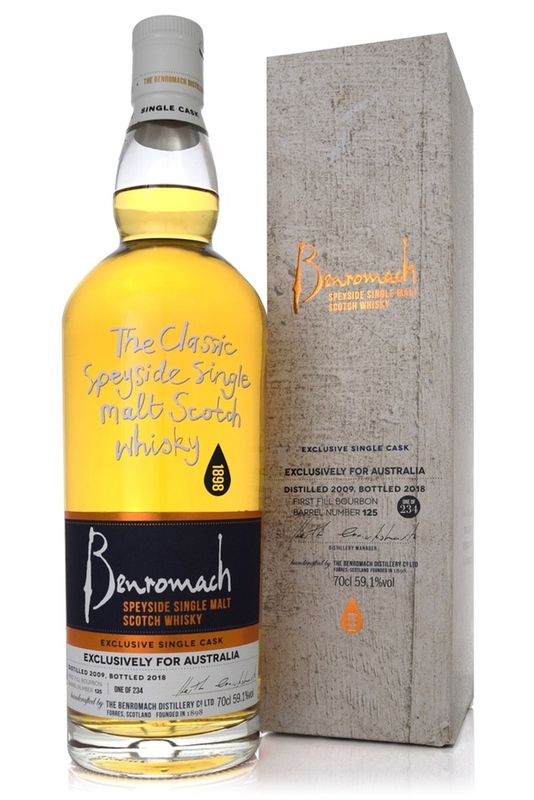 Add a drop or two of water to release the full TASTE WITH WATER, savour the succulent mouth coating and taste the toasted malt, delicate peat smoke and lingering sweet sherry, our gorgeous classic Benromach Speyside style of single malt whisky.